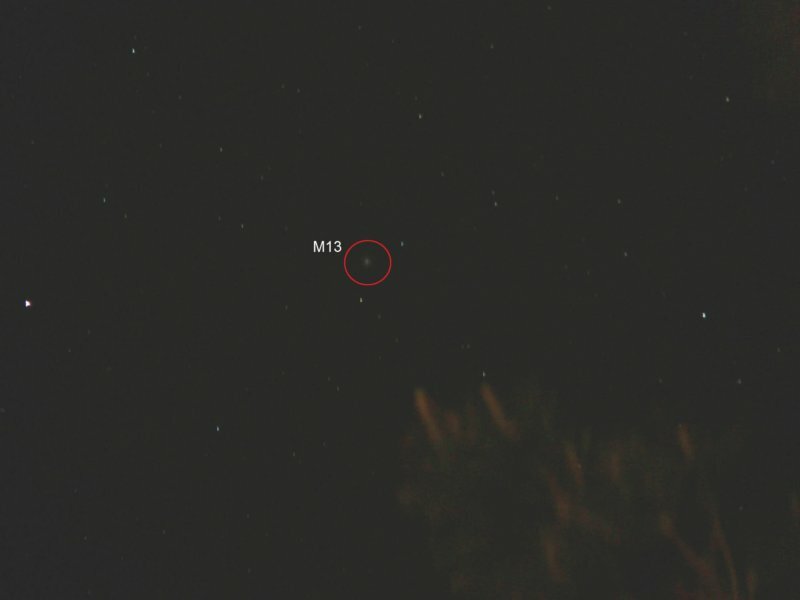 With my new Panasonic camera, I was able to take an image of M13, a globular cluster in the constellation Hercules. Taken on 05-28-2008 with f/2.8, 52mm (350mm equivalent on 35mm camera), ISO-80. I stacked 4 images with 15s, 15s, 30s, and 60s exposure time.